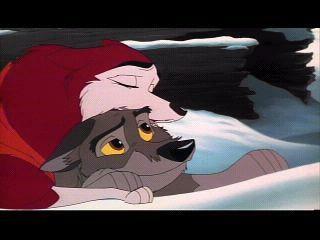 As you can see, there's a picture on the homepage of Balto and Jenna. Well, yes it may be nice, but I wanted to have more of the members participate. Each week, one member will pick the picture to use on this homepage. It can be drawn, fan imaged.....anything that has to do with Balto. My decision will be on the members attitude, posts, and most active. If you are chosen, you MUST PM or post the picture to me during the NEXT TWO DAYS. If it is not given to me, then you are not the winner and I will have to put my picture up. Thank you. I'll be searching. Guess this is dead huh?